The sunrise began in Sister Ernestine Nobel Parks life on April 27, 1937 in Riderwood, Alabama where she was born to the late Ernest and Elmira Noble. Ernestine Nobel Parks attended Choctaw County Training School. She received a Master’s Degree at Alabama State University in Library Science. She completed her internship at the Library of Congress in Washington, D. C.
Those who preceded her in death were her parents Ernest and Elmira Noble. Our Heavenly Father allowed Sister Parks to meet Him in eternity on November 25, 2018. Her love, kindness, loyalty and strength will be remembered by all whose lives she touched. 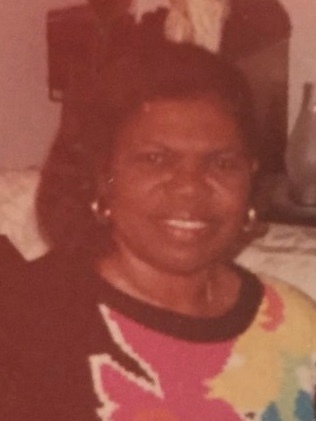 Sister Parks leaves to cherish her memory four children: Crystal Parks Bass (Nathan), Michael Parks, Nobatina Simmons and Eric Parks; Six grandchildren: Crystal Parks, Terrance Parks, Tracey Parks, Alix Parks, Joshua Simmons, Paul Simmons, Jr.; One great grandchild: Carson Parks; Special cousins: Elizabeth Hampton and Carolyn Greg.